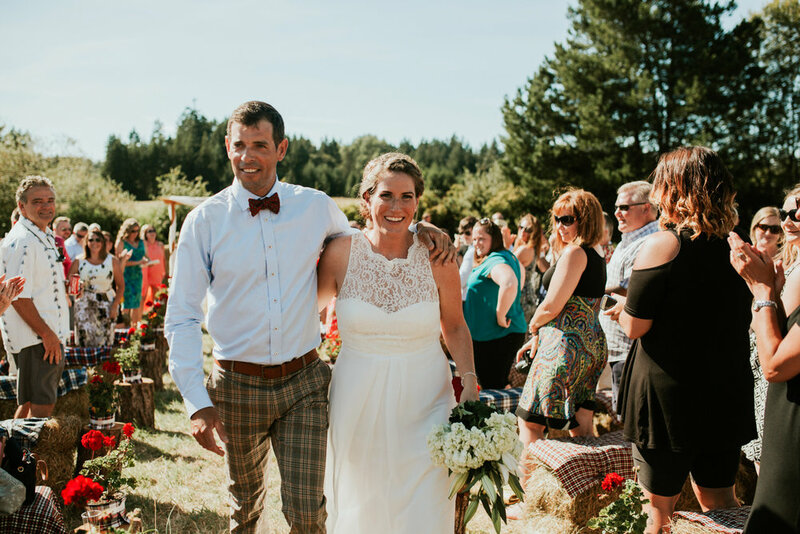 Sweet and simple was the vibe for Kate & Steve's farm wedding near Parksville, British Columbia. 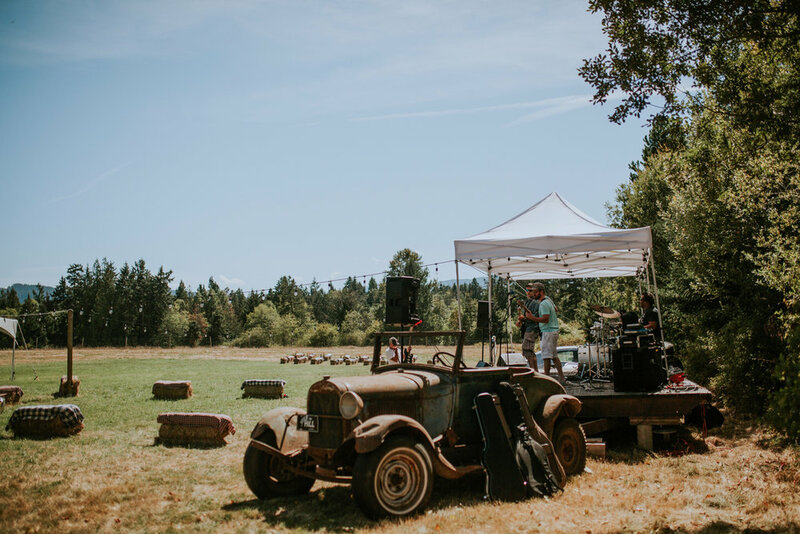 There were hay bales for seats, wood fired pizza for eats, and a live band to keep the guests dancing until the wee hours. This was also one of my favourite portrait sessions of the season. We snuck away from the reception to take in sunset on the beach. Watching the sun go down over the water is a pretty fine way to spend your first day as a married couple, if you ask me!